During WWII the United States supplied the Soviet Union with provisions for war including tanks, food, and aircraft. The aircraft types sent through this Lend-Lease program included Curtis P-40’s with a total of ~2,400 of the type delivered by 1944. Due to intense usage by the Soviet Air Force, many of the front-line P-40’s delivered in 1941 had engines that were beyond their service life just one year later. With no spare Allison engines readily available, the regiment commander of the 153rd IAP, Major A. A. Matveyev suggested replacing the clapped out Allison’s with Soviet-built M-105P and M-105R engines fitted with VISh-61P propellers. More than 40 P-40 airframes were so modified and used solely by the 196th IAP. It was reported that the performance of the modified aircraft suffered greatly losing 12km/h in speed compared to Allison-engined airframes. Perhaps this is the reason that many of the Klimov-engined P-40’s were modified further into dual-control trainers. 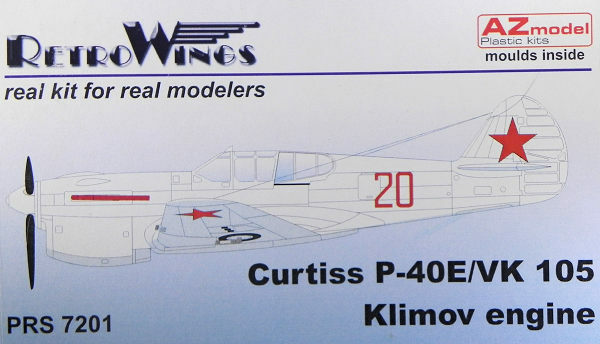 This kit is based on the Curtis P-40E/Kittyhawk Ia by AZ Models. Right out of the box the AZ kit is beautifully detailed with resin interior pieces and an overall shape that rivals Hasegawa’s P-40 for accuracy. It is, however, a limited production kit so be prepared to roll up your shirtsleeves , don a dust mask, and make some plastic dust. In this boxing, the AZ kit is augmented with some very nice resin bits and decals permitting you to assemble a Klimov-engined P-40. 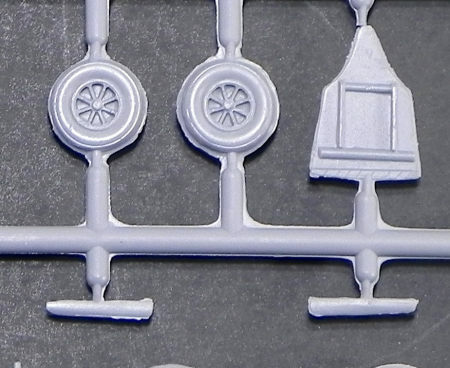 The kit parts are composed of grey plastic that is a little on the soft side a la MPM/Special Hobby. The model features a very nicely detailed cockpit and wheel wells. The canopy is perfectly molded and very clear: just dip in Future and glue in place. The installation of the Klimov engine into a P-40 necessitated different upper nose cowl and exhausts. In addition, the fitting of the VISh-61P propeller entailed a smaller rounder propeller hub. To that end, an appropriate upper cowl piece, propeller hub, and propeller blades are provided in nicely cast, tan-colored resin. The upper cowl section will have to be removed from the kits fuselage to fit the resin replacement and this is likely to be one of the more challenging aspects of the build but completely doable for those with a little experience. 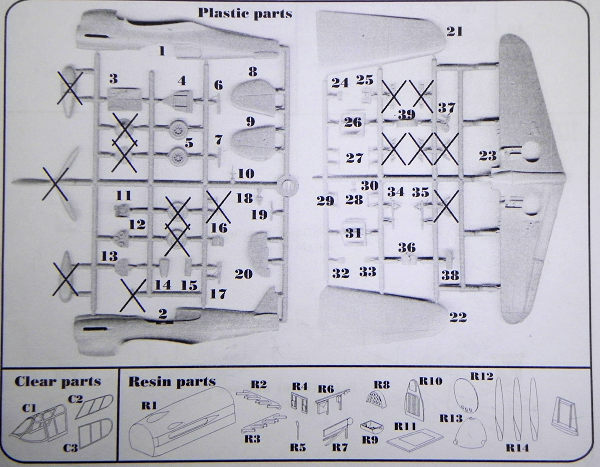 The small decal sheet provides markings for just one aircraft, red 20. The decals have good register with the numbers and stars of appropriate color intensity and outlined with a thin black line. Carrier film appears to be minimal. This is a really neat model of a little known P-40 variant. It is a limited production kit so some experience with such critters would be a good idea before diving in. Removing and replacing the upper nose cowl will be a challenge but nothing beyond someone with a little experience and patience. That said I’d love to see this model built wearing a worn winter distemper scheme. Highly recommended! !